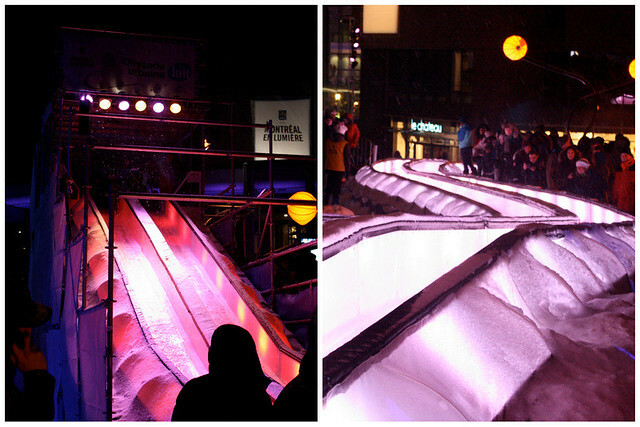 Last night we went out to see what was going on for the 10th annual Nuit Blanche. There were a ton of events to go see and a whole lot of people milling around. The events are free and there is a huge variety of different things to do. 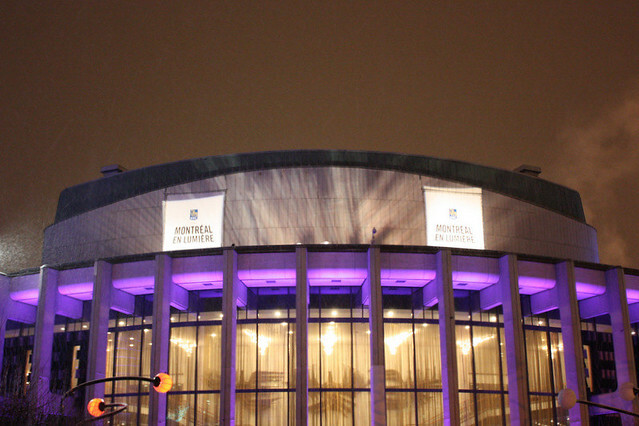 There are concerts and standup comedy, workshops and food. The metro runs all night and there are free shuttle buses that take you from one area to another. 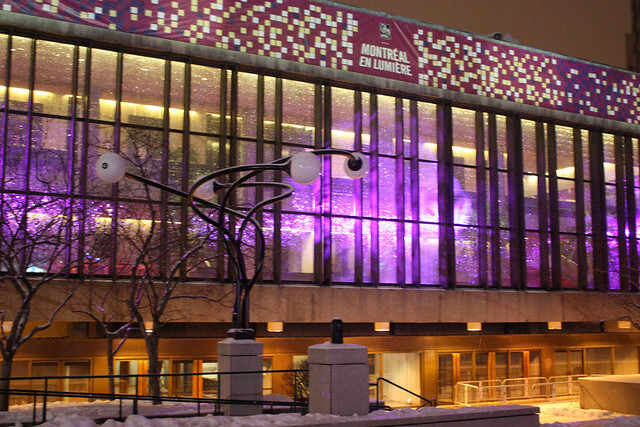 The whole Place des Arts area was lit up. The buildings had different colored lights on them and there were light installations all over the place. Everything was purple and pink. There was the massive slide with an even more massive lineup to get to it. Everyone seemed to have a great time though. Even though I still don't consider myself as a "winter person", I did have a good time walking around and I really love that this much effort is put into events of this magnitude in the winter as well. 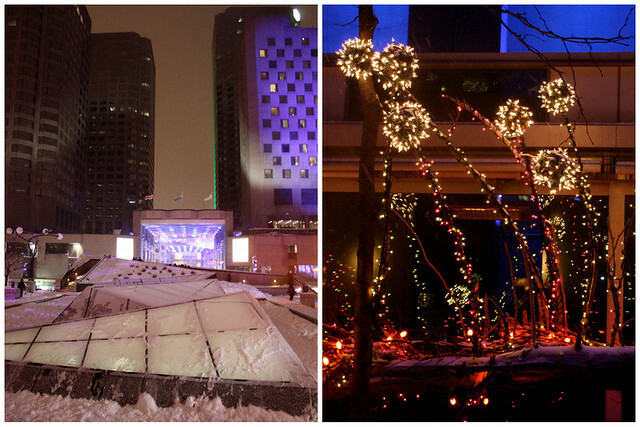 Montreal is well-known for continuous events and festivals in the summer, so a winter happening is more than welcome.